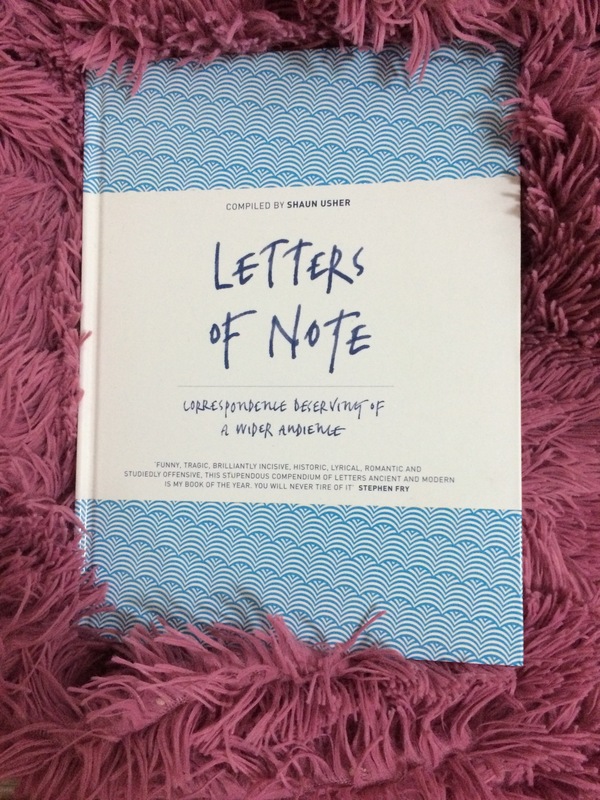 Letters of Note is a collection of 125 letters from around the world. Usher does not choose those letters randomly, but he chooses the world’s most entertaining, inspiring and unusual letters. These letters include letters written by Virginia Woolf’,Queen Elizabeth II, Elvis Presley, Charles Schulz, Leonardo da Vinci, Iggy Pop, Fidel Castro and many others. I love writing letters myself and I have many pen friends from around the world, that’s why this book appealed to me. I love the way the words look while scribed onto the paper. I love seeing the letters dancing in front of me. I love how the one put all their emotion into that letter. It is as if one touching the heart of the sender ! What is great about the book is that he puts a photo of the original letter along with its transcription if it is hard to read. So one has the opportunity to feel the emotions in the letters as if he holding it with his hands. The book binding is also amazing. It comes with a beautiful hard cover. I really loved this book. Highly recommended.